Recently Instagram pleased us again with a few innovations. One of them adds a possibility of creating collections of saved photos and video posts that you previously selected. The second change is the integration of offline mode. Read the details below. 3. 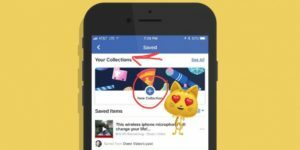 Instagram collections and how to use them? 5. 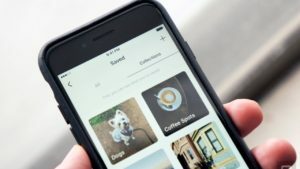 How to create collections (albums) from saved photos on Instagram? 6. How do I delete saved collections? 7. How do I add photos and videos to a collection? To add some saved post to your collection, just tap on it and hold it for a while. Like with all saved publications, only those who own the account can see their selection of images, and no one else. 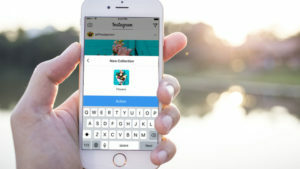 Instagram has already announced that this ability to save photos has become very popular among the users of the service. To improve interaction with saved images, it is now possible to create thematic collections. What does it mean? All the liked videos and photos from the feed can be added to your bookmarks by clicking on the corresponding icon in the right corner under the post in order to watch it again in a while. Looking for a right publication in the list of your saved items has now also become easier, since they are saved in thematic collections. 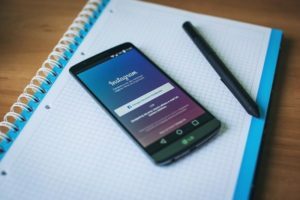 Instagram collections and how to use them? Thus, since recently a huge number of photos and videos can be combined into collections. In other words, you can organize thematic albums from saved photos. For example, a selection of photos with nature, animals, quotes, work-related stuff, humor can from now on be saved in well-organized ‘folders’. 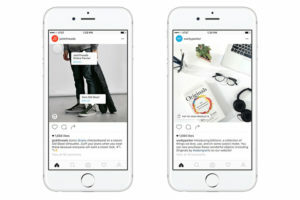 Instagram is confident that the collections will become an indispensable assistant in the organization of events. For instance, if you are planning a wedding, you can easily sort photos and videos of cakes or flowers into separate collections. Collections will help you get prepared for the summer holidays - you just need to organize your favorite publications in different categories, whether they are swimsuits or sunglasses. How to create collections (albums) from saved photos on Instagram? Open Instagram application. Go to section of your favorite bookmarks. You will see a large number of photos and videos you have saved. With the help of "+" button create a new collection and pick a name for it. Press "Next" button. Now mark all posts that you want to put on this album (collection). And click "Finish" button. How do I delete saved collections? Go to the section of bookmarks on Instagram. Choose selection you want to remove and click on it. In the upper right corner, click the button with three dots. Choose "Edit collection". Screen for changing the collection name is displayed. Below you will notice the button "Delete collection". How do I add photos and videos to a collection? Go to the section of bookmarks on your Instagram. Choose a selection in which we want to add more posts and click on it. In the upper right corner, click the button with three dots. Choose "Add to collection". After this pick more photos and videos and click the "Finish" button. The second recent change on Instagram has not affected all mobile users of the network, but only those who use Android smartphones. It is reported that Instagram application received offline support on the Android platform. 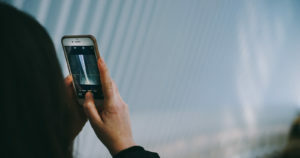 This means that you can now use Instagram without being connected to the Internet. But there are still certain limitations. If you do not have access to the Network, you can still use the photo and video sharing service. Comment on the publication as soon as connection to network appears. Note that Stories on Instagram do not yet support offline mode. There is also no information from the developers on when it will appear. iOS offline mode is not yet integrated, but most probably it will be there in the nearest future.